January opened quietly overall and highlights for a disappointing month were few. 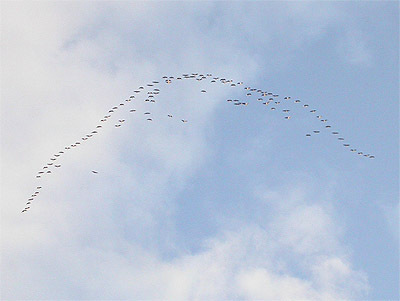 Pink-Footed Geese moved through on the 1st, when 150 flew west over Eakring Meadows. 1/3 Shelduck were at Eakring Flash on five dates and a pair of Wigeon were present on the 23rd. 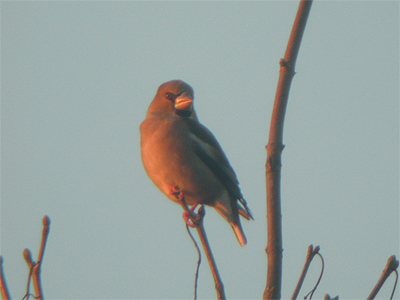 Throughout the month, flocks of Fieldfare roamed the area. These flocks totalled 404 birds on New Years Day, with numbers rising to 800 by the 23rd. February was again, another relatively poor month, although a Merlin hunting on the 1st raised observer hopes that this surprisingly scarce species may start to turn up more frequently. Fieldfare numbers reached a new peak of 1,114 on the 20th and typically, Redwing remained conspicuously scarce. 36 Carrion Crow together was an unusual gathering on the 2nd. 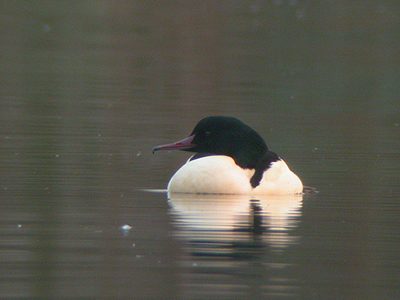 Wildfowl highlights were restricted to a female Goosander which made a lengthy stay from the 2-13th. Snipe reached 15 birds at the beginning of the month at Eakring Meadows. March could only improve on a poor start to the year. Always eagerly awaited personally, the month generally kick starts the birding to a higher level as Spring migration begins and the first summer visitors start to arrive. In some years, March can remain tediously quiet, until about the third week. This year however, the month provided some good records pretty much throughout and after a Goosander on the 2nd, a male Hen Harrier from the 5-27th was overwhelmingly the highlight. Unfortunately the bird was never twitchable and only seen by myself on inclusive dates, but was apparently seen by several local people during its lengthy stay. Initially discovered on an awful day when the most appealing option was to stay at home, with driving sleet/snow and a biting north-west wind, a brief glimpse as it dipped below the hedge was enough to make sure that the inclement weather was forgotten. The bird spent some twenty minutes quartering fields adjacent to Eakring Flash before appearing to drift off north over Leyfields. 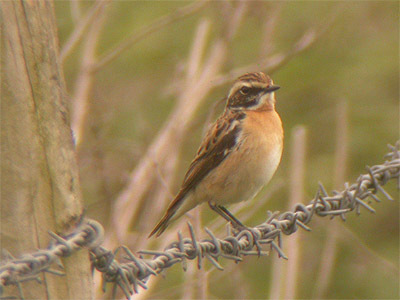 With a male wintering on the Kingston Estate near Laxton the year before, this could conceivably have been the same returning bird. Golden Plover reached a record 696 near Red Hill on the 5th and waders were also represented by a Curlew moving south-west on the 13th and a Jack Snipe at Eakring Meadows on the same date. Visible migration saw peak counts of 189 Meadow Pipits on the 27th, with 473 Fieldfare north-west the following day. Redwing showed an upsurge in records and 63 on the 18th was an excellent spring total. The first Chiffchaff arrived on the 27th, much later than last year, with numbers throughout the coming months seen to be very depleted and down on those of 1998. April probably represents the best month of any spring. Some excellent records again came in the form of both Osprey (fishing a small lake west of Red Hill on the 22nd) and a female Ring Ouzel at Kersall on the 28th. Further interesting migrants included Common Buzzards through on two dates. These records aside, the month was surprisingly quiet. Waders were represented by three Little-Ringed Plover, two Curlew, with single Green Sandpipers on both 4th and 9th and several Redshank sightings. By the end of the month, virtually all summer visitors were in. 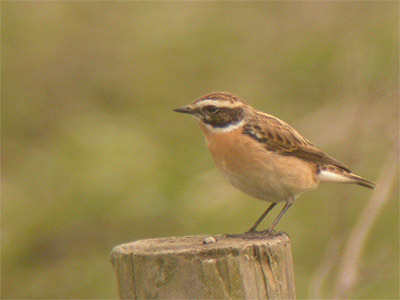 Four Wheatears in pastures at Tug-Bridge Farm were very unusual in location, with their presence initially indicated by a male flying across the road. 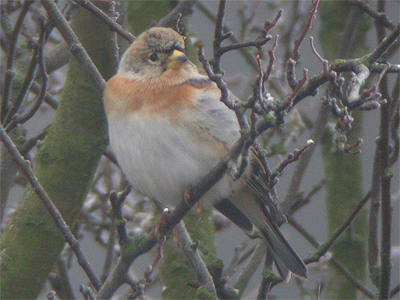 A single Brambling at Eakring Flash on the 25th was the only record until the Autumn. The only Grasshopper Warbler of the month was reeling in scrub on the Kneesall Road, on the 28th. May was quiet. A Common Buzzard flew west on the 1st, a day which also saw the first Swift of the year. Single Wheatear and Whinchat were at Eakring Flash on both 2nd and 12th respectively and the years first Spotted Flycatcher was at the same site briefly on the 26th. Whimbrel were noted for the first time in spring here when singles moved north on the 14th and north-east on the 16th. Little Ringed Plover were recorded on the 5th and 6th. A new species for the area was recorded when a drake Ruddy Duck was present from the 13-14th. June's most marked feature throughout, was the site counts of both Tufted Duck and Pochard at Eakring Flash. Pochard in fact reached a respectable and highest site count of 11 on the 1st and varying numbers remained on and off for most of June. 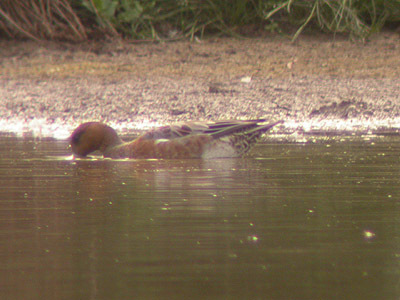 Three drake Teal were also present on the 15th. Wildfowl aside, June remained predictably quiet, the months birding predominantly taken up with the annual breeding bird survey. Preliminary results indicated mixed fortunes for many species. Blackbirds continued to increase and it seems may soon number over 100 pairs if the present rate of population growth continues, despite predation from Sparrowhawks. Song Thrush numbers were also up and birds were found to be more widespread than last year, which was especially pleasing amongst the birds recent press reports. Other species on the increase, included both Wren and Chaffinch, while on the down side, no Lapwing bred at all this year and Grey Partridge totalled just one pair. July was eagerly awaited, especially after the quietness of the breeding season and having had such a good month in 1998. Though not having the consistent good records as the same month last year, one bird alone made up for a lot of Julys seemingly bird-less spells. Not entirely a complete surprise was the Black-Necked Grebe which was present at Eakring Flash from July 10-17th. This species had been expected at some time in the future when the site had matured more, but not quite this soon and coming before Great Crested Grebe. Other noteworthy records included the sites second and third Ruddy Ducks, four Curlew on two dates at the start of the month, a very brief Green Sandpiper on the 11th, three Common Tern on the 6th and 19th and an early Tree Pipit on the 22nd. 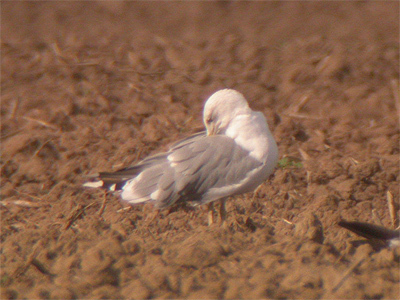 There were two records of Yellow-legged Gull during the month and three of Hobby. 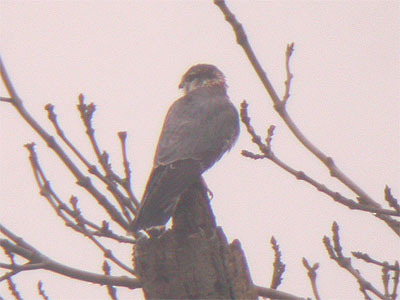 These were the first Hobby sightings of the year, following a blank spring. August began predominantly with fine weather, this breaking down to give a spell of north-easterly winds and rain for much of the time. This was an exciting month, producing five new additions to the Eakring species list. Garganey, Hawfinch, Crossbill, Honey Buzzard and Reed Warbler all put in appearances. All of these had been expected to occur at some time in the future but it was the closeness of these records that ensured a memorable month with continued comprehensive coverage. Waders were well represented, with records of Green Sandpiper throughout, two Common Sandpiper on the 5th, three Dunlin on two dates and regular Snipe. Whimbrel passage occurred on three dates, two of which produced groups of 10 moving north-west on the 8th, 16 moving north-west on the 22nd and finally a single west on the 29th. 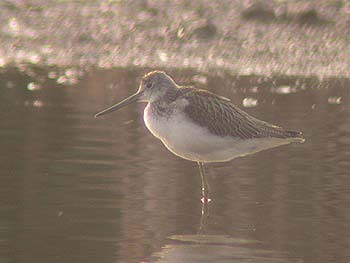 There were two records of single Greenshank present on the 9th and 16th. A juvenile Garganey present from the 7-9th, associated with Mallard, often in stubble fields and was very elusive and flighty, but a good addition to the species list. 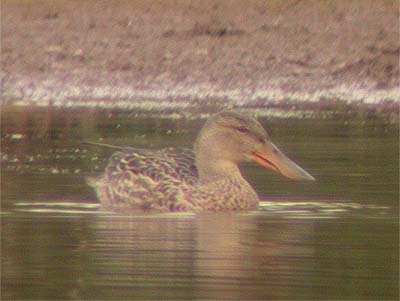 The scarcity of Shoveler was again evident, producing only one record of a single on the 29th. Why this species is so scarce here remains a mystery, but the similarity to last years occurrence is interesting. Migration during August saw an almost continuous trickle of hirundines moving through the area, along with eight Tree Pipits on several dates, good numbers of Yellow Wagtail and a single Crossbill moving south-west on the 17th was another site first. This welcome addition came after a small but significant arrival in most eastern counties during July. Careful monitoring of warbler numbers, showed that all species were on the move and some good accumulative counts were made during the month. One particular day stood out from the rest of August. The 22nd saw an unprecedented movement of Raptors through the area, with three Common Buzzards, Honey Buzzard and Hobby moving through. The Honey Buzzard obviously representing another first site record. On a quite exceptional and varied morning, the Raptors were the most obvious highlights, though it must be remembered that several other good records included the previously mentioned 16 Whimbrel, single Wheatear on Red Hill, Whinchat at Eakring Flash, along with 14 Spotted Flycatcher around the area. 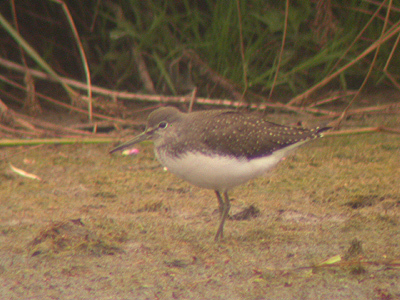 This total included eleven at Eakring Meadows, two at Eakring Flash, with a single on Red Hill. Surprisingly not recorded last year, migrant Reed Warblers were at Eakring Flash on the 14th and again on the 29th. 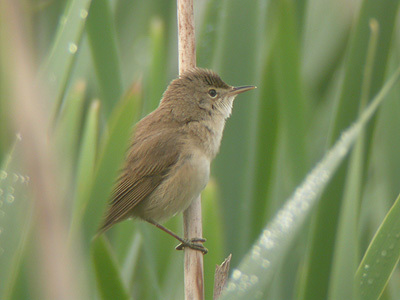 Maybe with the continued maturing of Eakring Flash and continued vegetation growth, the Reed Warbler will become a more regular visitor, with breeding remaining very unlikely due to lack of habitat at this time. A further new addition to the list occurred at the end of the month when a Hawfinch flew south-west towards Eakring village on the 31st. September was another month to match and maintain the standards set during August, with a series of raptor records which included both Osprey and Red Kite. A migrant Common Buzzard was recorded on the 2nd, whilst up to three birds took up residence in the area throughout the month. Two birds were present in the Lound Wood/Eakring Flash area, with a further bird at Hare Hill Wood. Augusts Peregrine remained in the area until the 3rd and further sightings of different birds occurred on both 12th and 25th. 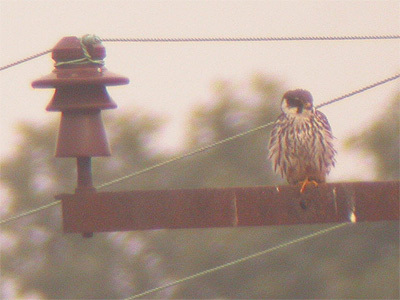 Late Hobbys were noted, with a single on the 12th and two from the 13-14th. This latter pair seen to systematically pursue the same singled out House Martin. Migration became more purposeful as September progressed and large numbers of both House Martin and Swallow moved through. Peak House Martin counts occurred between 20-29th, with 883 birds moving south-east during the afternoon of the 25th alone. Indeed, the afternoons frequently matched the traditional higher morning counts, with movements on some dates being quite spectacular as seemingly endless numbers of birds passed through. Swallows provided similar movements and numbers, though over a more extended period, with a peak of 613 on the 28th. At the same time good numbers of Meadow Pipits were also recorded and although the high numbers that passed through on the morning of the 25th were missed, a respectable total of 162 was reached in the afternoon. This was followed by 290 moving south-east the next day. 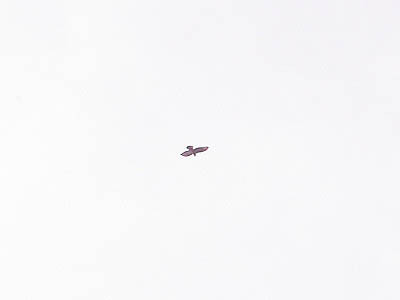 Systematic visible migration watches also accounted for the areas second Crossbill on the 1st. Wildfowl records during the month were few, but there were two exceptional record site counts. After an overnight arrival of 35 on the 1st, Gadwall numbers peaked at 46 on the 4th. Surely this count will never be repeated. Wigeon were recorded on numerous dates, due primarily to the presence of two long staying birds, but these were eclipsed by the flock of 60 that flew west on the 11th. The 11 moving west on the 13th would have otherwise represented an excellent site count. 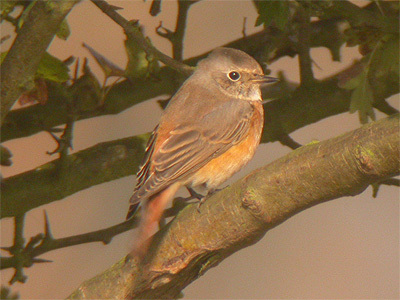 Redstarts were present at the same localities as last year and on a total of nine dates, with four birds involved, including at least two males, with Whinchats totalling seven birds. 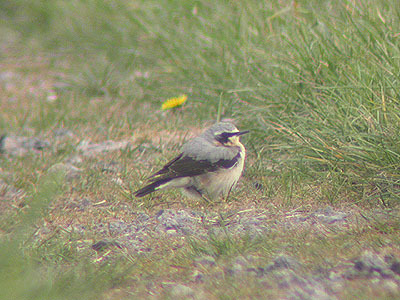 A single Wheatear was in the Red Hill /Eakring Flash area from the 14-15th. At the end of the month, good numbers of Song Thrush and Blackbirds were recorded, indicating that an arrival had taken place. This was especially evident at Oil Bore Holes on the 26th, where at least 40+ Blackbirds fed in the Hawthorns along with 12+ Song Thrush. The same site producing five Blackcap and three Chiffchaff, part of a similar arrival throughout the area on the same day. Further notable warbler records included different Willow Warblers at Eakring Meadows on the 11th and 12th, with a good arrival of both Chiffchaff (13) and Lesser Whitethroat (11) earlier in the month on the 5th. 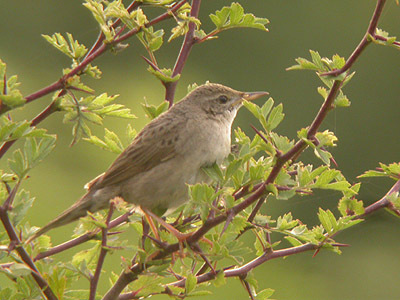 A single Reed Warbler was present in the old hedge at Eakring Flash, from the 3-5th. This was the third record of this scarce warbler, since the first in August. As autumn migration continued, sightings of warblers gradually dwindled. A Garden Warbler at Eakring Meadows on the 11th, was the first true Autumnal occurrence of the species in the area. A similar, but much rarer record was the Grasshopper Warbler that remained at Eakring Flash from the 13-14th - an Autumn record scarce, even on a county level. October quietened down slightly from the previous months, although it did continue in a similar vein, producing first records of Water Rail and Stonechat, both from Eakring Meadows. 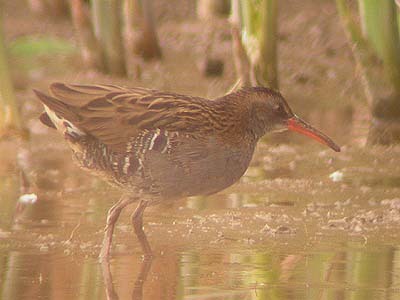 Undoubtably, Water Rail has occurred in the past and gone unrecorded, but this is the first documented record for the area. 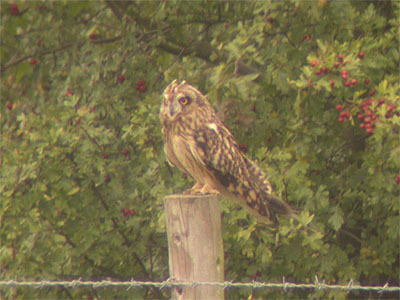 Present at Eakring Meadows from the 3-7th and later moving to Eakring Flash where it was seen on the 24th, until the end of the month. 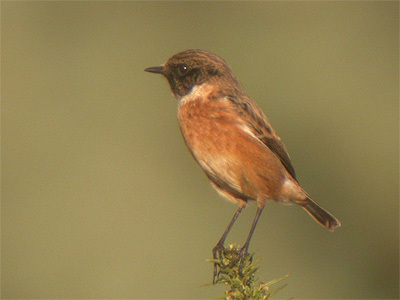 Stonechat was a species expected to turn up, but the discovery of a female around the pool at Penny Pasture Common, Eakring Meadows on the 7th, was still an exciting find. 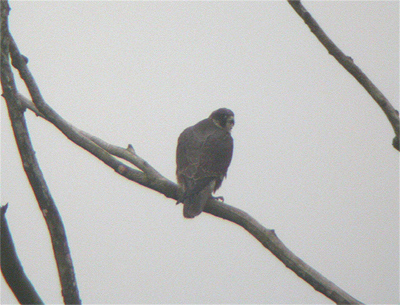 A single Peregrine hunting Wood Pigeon on the 13th, represented the raptor highlight and at least two Common Buzzards remained in the area throughout. These included single birds at Lound Wood and Hare Hill Wood /Eakring Meadows. Coverage was unfortunately, severely restricted. Despite these restrictions, the few site visits undertaken did provide yet another new species for the area on the 13th, when a Short-eared Owl flew through, being mobbed by Carrion Crows until out of sight over Lound Wood. Good numbers of wintering Thrushes were present throughout, mostly in the Eakring Meadows and Pastures area. Migratory figures were relatively low although counts did number 677 and 364 of both Fieldfare and Redwing respectively on the 14th. Teal counts reached 30 at Eakring Flash on the 30th, although it must be emphasised that most wildfowl counts were below those achieved at the corresponding time last year. Last months Water Rail remained throughout November and Coot unusually remained after the July exodus of 1998. 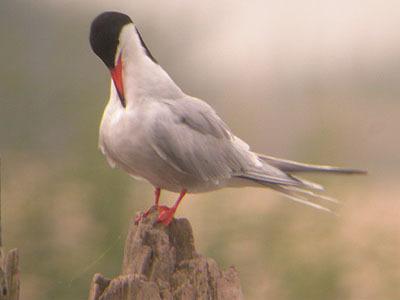 Perhaps the increasing maturity of the Flash is the reason, as all other breeding sites were vacated on time. December was a poor month and coverage was again restricted. Good numbers of wintering thrushes were again in evidence, although Redwing remained scarce and in small numbers. 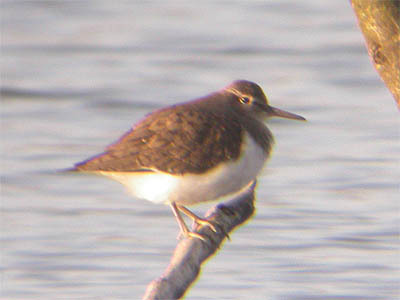 Counts of many of the common bird species seemed slightly lower than at the previous time in 1998. 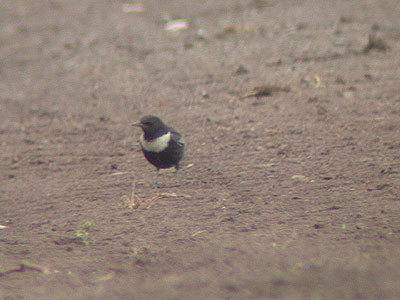 Although no actual accurate counting took place during the systematic coverage of the area,an obvious drop in the wintering populations of many of these species seemed quite noticeable.